On Friday March 16th Rokhsana Fiaz took another step closer to making history with her selection as the next Mayor of Newham. She beat the present Mayor Robin Whales to win the nomination by over 300 votes. If she goes on the win the election in May see her become the third BME directly mayor in the country and first elected female BME Mayor. To many Mayor-Elect Fiaz embodies the transitional period the Labour party is currently undergoing with her refreshing policies on housing and opposition of automatic selection. In 2009 Fiaz was awarded an OBE for her work on race, faith and identity. 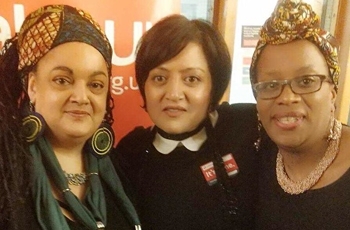 This came following her lifelong involvement in politics from a grass-roots level; Fiaz overcame racial abuse and the looming National Front threat to join the National Assembly Against Racism fighting back for many people who had similar experiences. Later joining Co-existence and UNESCO, she was then able to deliver a one million pound educational project resource that was rolled out in most primary schools in England and Wales. “I don’t have 23 years of blankness on my CV. I’ve got 23 years of very much being on the front line, getting my hands dirty.” In her own words, Fiaz is clear about the enthusiasm and consistency she plans to bring into this and all future roles she is bound to be selected for. These qualities, coupled with her commitment to transparency give us a shining example of progress and diversity in Politics. It is clear that if this election is to be consolidated, and more representative candidates are to be given an opportunity within government, then we as constituents need to maintain political engagement. Only through registering to vote and supporting the local cause, party or candidate, will ensure that the nation receives the more accurate representation it deserves. We cannot be satisfied with only three BME Mayors in the entire country. Rokshana Fiaz, Sadiq Khan and OBV Alumni Marvin Rees are our voices, but this May’s election is an opportunity to add more voices to the discourse, an opportunity we should relish, and be happy to take.